Selfridges Group isn't only spending heavily to upgrade its London and Birmingham flagships and it will also invest €11 million in its Dublin department store Arnotts as it refurbishes the building and upgrades its technology offer. The spend will include a complete revamp of its beauty hall and a new restaurant, as well as a new toy department as it works to boost the store's turnover well beyond its current €75 million. The €11 million spend is in addition to the €4 million the parent company made available for refurbishment last year. 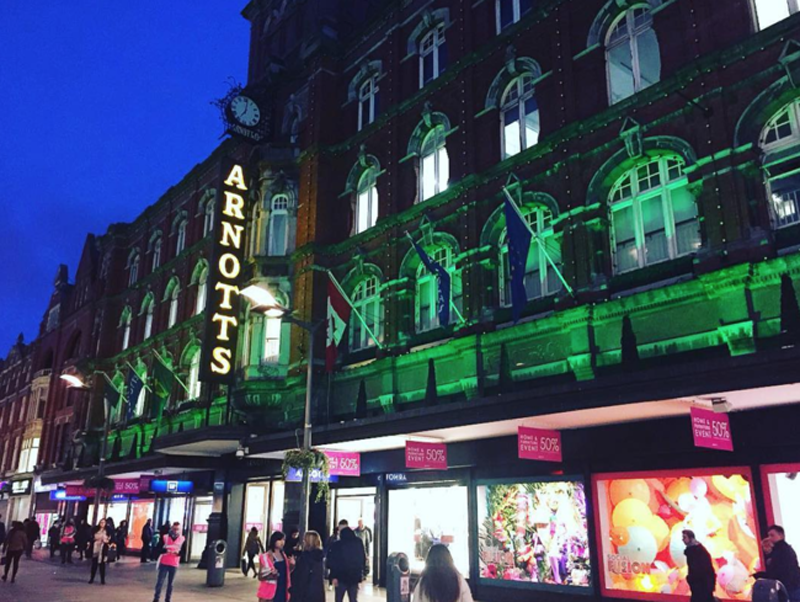 The Arnotts beauty hall, which at 25,000 sq ft is claimed to be Ireland’s largest, will account for around a quarter of the new investment. As well as boosting the environment for big-league beauty brands, it will add a new hub area promoting niche brands such as Huda Beauty. And the new toy department, which opens shortly, will give a boost to the childrenswear department as it is located just next door to it. In line with offering more leisure facilities in order to attract shoppers into the store, the company aims to upgrade its restaurant facilities. And it will also be spending €3 million on technology as it seeks to update vital systems such as stock control, warehousing and air conditioning. Importantly too, the focus will be very much on integrating its physical and online operations in order to offer more of a seamless omnichannel service. Some of the investment from last year is already showing results with a lingerie department having opened in February and the furniture department also having been upgraded. Selfridges, which also owns Brown Thomas in Dublin, acquired Arnotts in 2015.